On Tuesday, the leader of VMRO-DPMNE, Hristijan Mickoski, described the agreement over the name dispute as capitulation and defeat. “The whole situation about the competences of the institution for running the processes needs to be clarified, i.e. which institution has the competence to sign such international types – the government or the President of the country. VMRO-DPMNE’s stands are known, unchanged and precise. We will not give up on our principles and conviction. 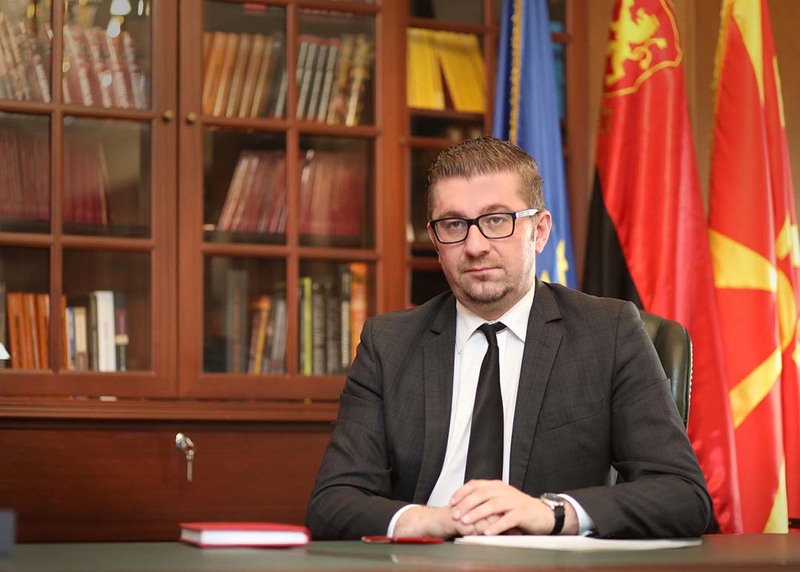 VMRO-DPMNE will not accept a change of the Constitution aiming to change the constitutional name,” he stressed. As the VMRO-DPMNE leader added, if PM Zoran Zaev is trying to “push the capitulation through a parliamentary procedure in a smuggler’s manner”, he must know that there must be a referendum which will be mandatory, not consultative. “VMRO-DPMNE wasn’t involved in the negotiations and it’s now clear to me why,” Mickoski stressed. Prior to the press-conference, Zaev had informed the VMRO-DPMNE leader about the agreement.